Bookworm Deluxe, Bookworm Adventures Deluxe and Bookworm Adventures: Volume 2 were delisted from numerous online platforms between April and May of 2016. They were last confirmed available on March 9th at POGO.com, on March 26th at Origin, on April 6th at Steam and May 31st on Big Fish Games. After the release and demise of the last Bookworm title — Bookworm Heroes for iOS, released in April of 2013 and shut down December 1st, 2014 — PopCap Games, Electronic Arts and even Bookworm’s key creators (now independent) fell silent on the franchise. 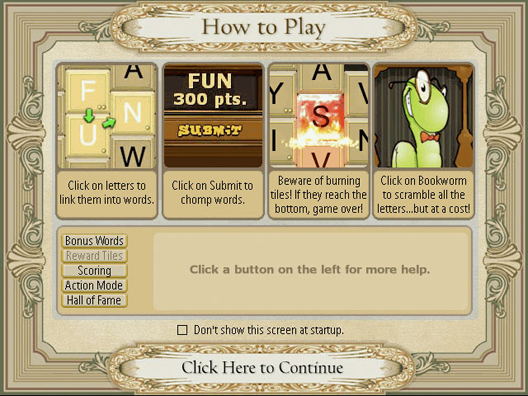 In interactions that included Bookworm in interviews and on Twitter they would mention other PopCap franchises by name (Plants vs Zombies, Peggle, etc) while glancing over Bookworm. No further explanation has been given on why the games were removed although their delisting on EA’s own Origin and POGO services implies that a rightsholder/creator or individual license is the cause. 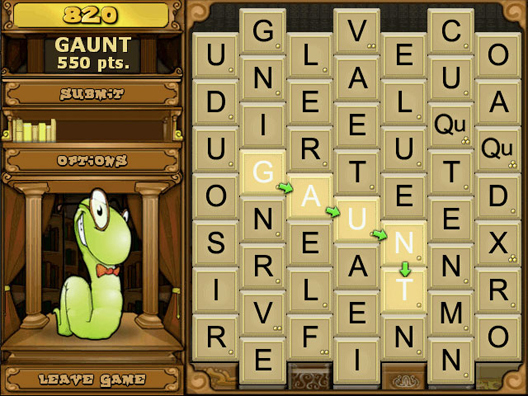 As of June 2016 PopCap’s trademark page continues to display all four Bookworm titles and EA’s international trademarks on Bookworm remain active through 2018. Physical versions of all three titles are available for PC while the original Bookworm is available for the Game Boy Advance and Nintendo DS. 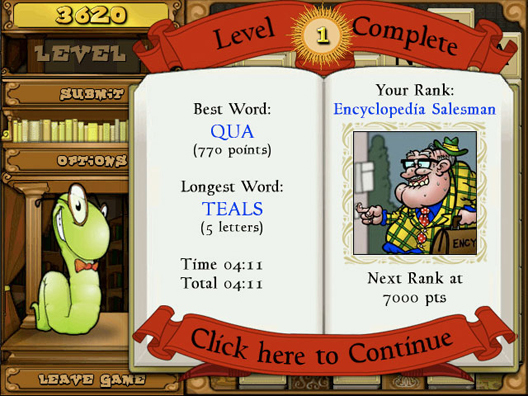 Some online gaming portals still claim to offer Bookworm but several we checked wouldn’t actually load the game. Possibly due to an oversight, the DSiWare version of the original Bookworm remains available in North America. “Have an appetite for words? 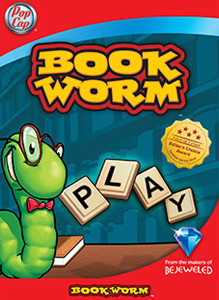 Then join Lex the Bookworm in the hit word-puzzle game created by PopCap, makers of the best casual games this side of Jupiter! Link letter tiles left, right, up and down to build words to keep Lex sated and smiling. The bigger the word, the better the bonus. But watch out for burning letters — they could spell disaster for you and Lex!